Over the years, we have helped The Catholic Community of Sts. Peter and Paul on several capital improvement projects. The parish rectory was one that needed careful restoration. 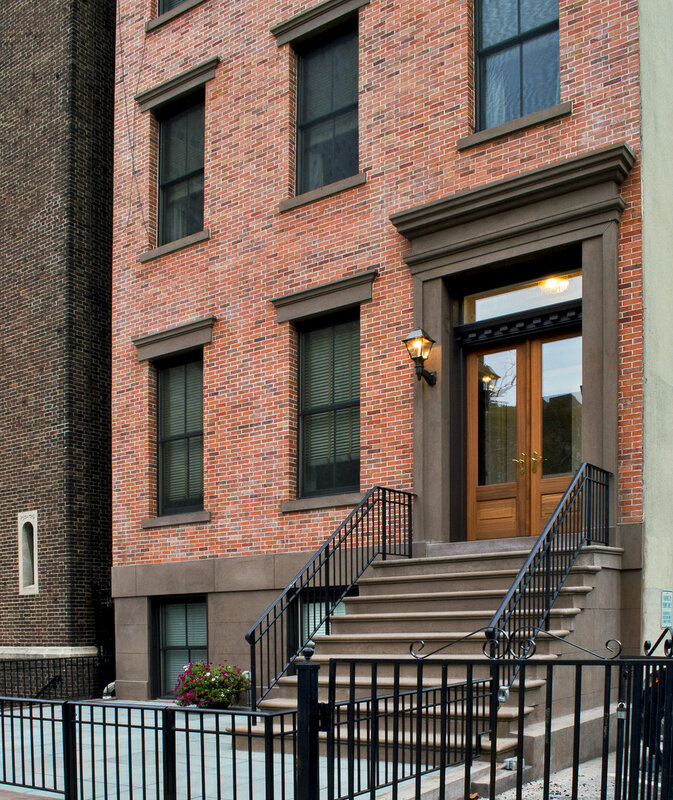 Working with the Hoboken Historic Preservation Commission and considering the structure's cultural and historic significance, we recreated the original rich, brick facade and restored period details. The parish exterior was initially in a state of disrepair and appeared worn and faded. 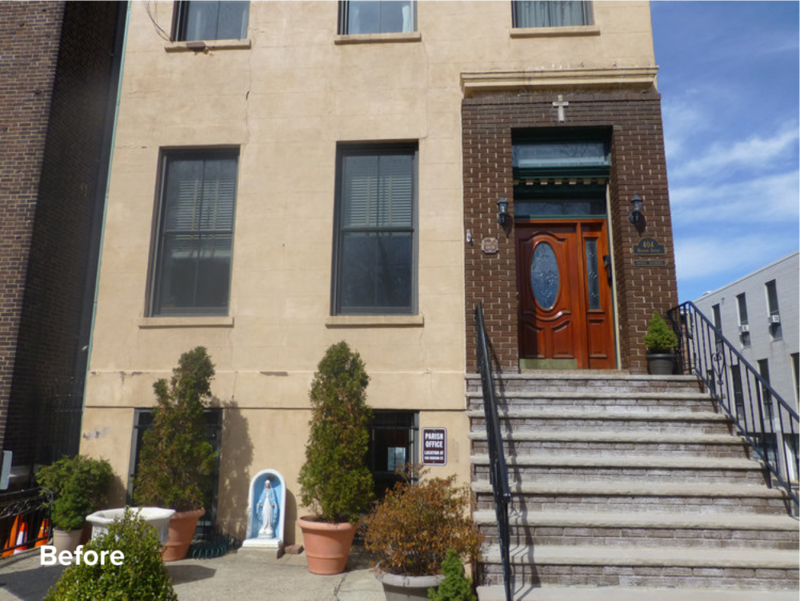 In addition to recreating the brick facade, we also restored the entryway and stoop - installing a pair of walnut french doors and etched glass transom to restore the building to its likely appearance in the 1880s.